Speaking of Australia-Indonesia defence relations, here’s an IKAHAN article (in Indonesian) on the recent joint exercise Wirra Jaya AUSINDO 2013. 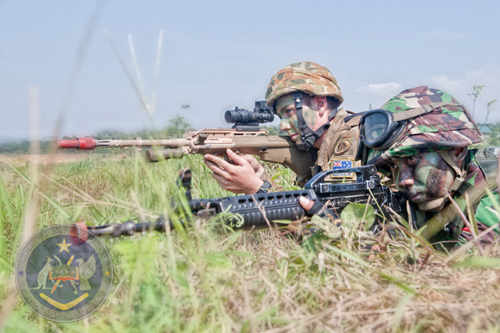 Held in September in Sentul, the exercise brought together soldiers from Mechanised Infantry Battalion 202/Tajimalela and 5RAR to work with combat vehicle and shooting skills, amongst others. There are more and more instances of TNI’s involvement in non-military security issues. Yesterday, The Jakarta Post reported that the Siliwangi Military Command will now assist the West Java provincial administration in combating human trafficking. Lastly, TNI scholar Bob Lowry has some book reviews on over at Inside Indonesia, including one on Djaja Suparman’s memoirs on being a military officer during reformasi. Bob also reviews a book on the first graduates of Indonesia’s Armed Forces Military Academy.